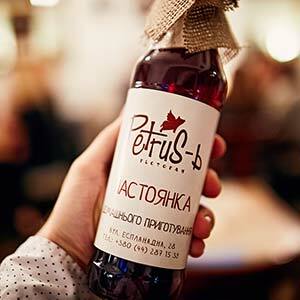 Petrus is proud of its homemade liquors (35 UAH for 50 ml) – horseradish vodka, mead, cranberry vodka, cherry liquor and sea-buckthorn liquor. They are all made with the ancient recipes and are very popular with our guests. You can also purchase the gift liquor bottles, making a wonderful Christmas present.